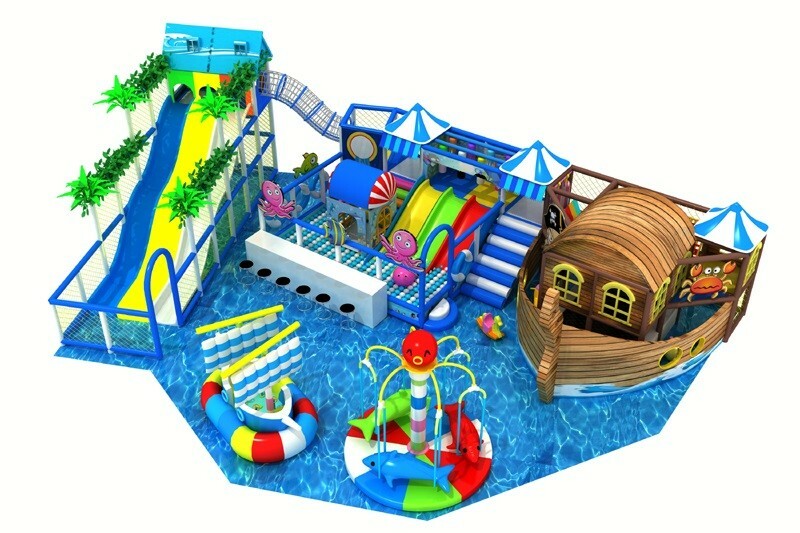 To get a perfect customized design of indoor jungle gym, our designer will need your help on information of floor plan, not just the specification but also theme, age group, capacity, budget. if you take time pick components by yourself will be perfect, because the more you understand on product, the better ideal you will have, then you know which design better for your place. Nowadays there is a growing tendency that there are more and more indoor playgrounds being built in markets, schools, and even restaurants. It’s obvious that parents paid more attention to children’s need in playing in safe, clean and comfortable playgrounds. As for children, they are fond of playing in indoor playground with parents or other friends that they may want their parents to take them to there every day. Of course parents don’t feel like rejecting them, but they just can’t satisfy their kids because their daily life is always occupied with work and many other stuff. Perhaps parents could buy them a present or just tell them some stories instead of taking them to the playgrounds to smooth their bad emotion, but you have to admit that you are actually setting up a wall to separate kids from the playgrounds. Should lack of time or busy at work be used as excuses to keep your kids at home? I think this is a question that all parents should think about. And another more important question that parents should think over is that does take your kids to the indoor playground really take up a lot of time in your life? I really don’t think so. On the contrary, it does benefits busy parents in many ways. First of all, indoor playgrounds are different from those in outdoors, they not only provide you with a shelter from the bad weather, but also provide you quiet and comfortable areas where you can take a seat to continue your work while at the same time keep an eye on what your kids are doing. You will feel happy when you see your children are enjoying themselves. Secondly, while your children are enjoying playing and lost themselves in happiness, it will be less likely that they will bother you when you are at work, which in turn, to be honest, will promote the working efficiency and you can be better concentrated. In addition, at the time they are playing, they exercise a lot, which means that they will get easily tired at night, so you there is no need to spare another several hours to tell them bedtime stories or sing them to sleep and you can take a comfortable bath and go to bed earlier. Last but not least, the various equipment that an indoor playground provides dose benefit your kids both physically and mentally. Busy parents may get less trouble in sending your kids to a doctor because of bad state of health. A childhood without seeing doctors all the time will no doubt be the best childhood. So according to the analysis above, we can safely say that the indoor playgrounds does benefit busy parents rather than just take up their time. Want to spend more time with kids but don’t have enough time? Go to the indoor playground, oh, don’t forget to bring your briefcase.